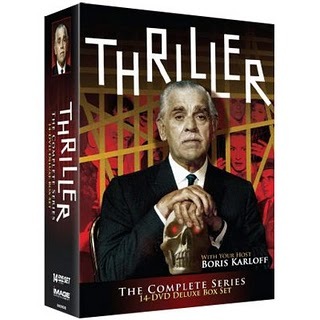 A Thriller a Day...: Thriller: The Complete Series for only $55.99! If you thought the $75 deal from DeepDiscount a few weeks back couldn't be beat, Amazon has trounced that today only! If you've held off on ordering, don't wait any longer as the DVD set is Amazon's Gold Box deal of the day for only $55.99! John Kenneth Muir has name-checked the THRILLER "brick." "It was a black-and-white TV anthology show that drew on spooky fiction by masters of the genre — but it wasn’t THE TWILIGHT ZONE. 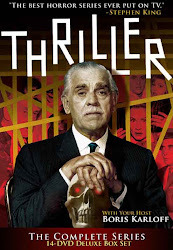 It was hosted by a Hollywood icon, featuring stories with tricky twists in the tale — but it wasn’t ALFRED HITCHCOCK PRESENTS. It ran for an hour, and gave early breaks to young stars and steady work to Hollywood veterans — but it wasn’t THE OUTER LIMITS ..."
Want to know a bunch more about Robert Arthur? All THRILLER, all the time.